To request a Gift Certificate, call ​503-622-6837. You can pick it up in person or we will mail it to you. 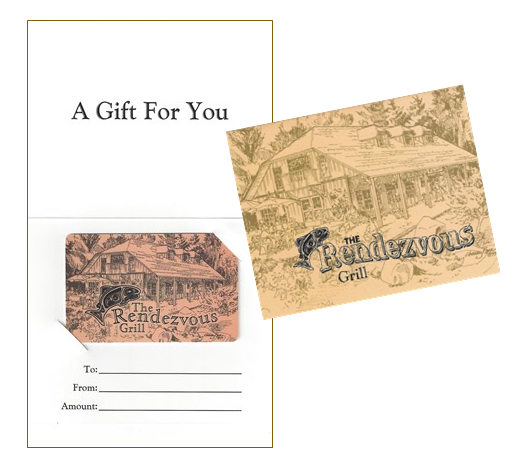 Your Gift Certificate will be displayed in a beautiful folded card featuring an artist rendering of The Rendezvous Grill.